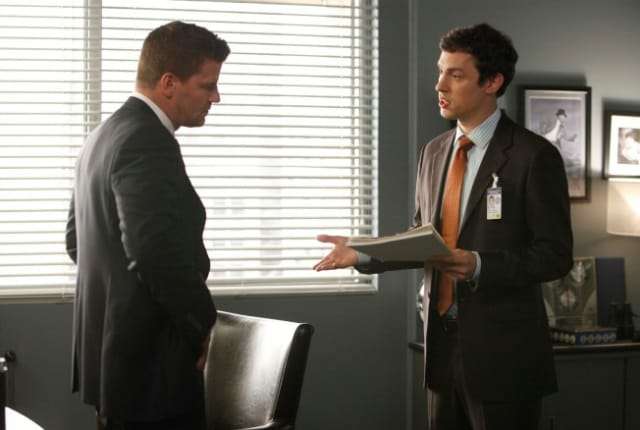 Watch Bones Season 8 Episode 5 online via TV Fanatic with over 8 options to watch the Bones S8E5 full episode. Affiliates with free and paid streaming include Amazon, iTunes, Vudu, YouTube Purchase, Google Play, Hulu Plus, Amazon Prime, and Verizon On Demand. Booth: You're a psychologist. Who would do something like this? Sweets: You want me to figure that out right now? Hodgins: What kind of freak feels nostalgic over human sacrifices? Fisher: I'm gonna go ahead and plead the fifth on that.